Sometimes, life doesn’t go quite as planned. Maybe you had scheduled your GRE exam for what you thought was the perfect day, and then you realize you have an event that will keep you up really late the night before. 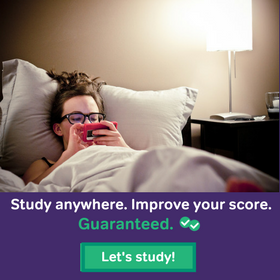 If you want to be well-rested for your GRE exam, you’re going to need to do a GRE exam reschedule. There are many reasons why people have to do a GRE exam reschedule. It happens to everyone! No one can perfectly foresee the future, and know for certain which day will work for taking a multi-hour exam. So, if you’re at the point where you need to reschedule your exam, what should you do? First, don’t worry. The process for rescheduling your GRE exam is very easy. Doing a GRE exam reschedule can happen at ETS, by logging into your online account. Once you’re there, you can reschedule your exam so long as it’s within 4 days of the test date (or 10 days if you live in Mainland China). Note that you will be charged a fee. Rescheduling is not a free service, even if you’re within the four-day window. The rescheduling fee is $50, except in Mainland China where it is $53.90. If you want to reschedule your exam and change the location of your exam, you’ll be charged another $50. What if you wake up on the day of your exam, and you’re sick? Unfortunately, rescheduling isn’t as straight forward as it might initially seem. You’re no longer outside the four-day window, so if you just don’t show up to your exam, you won’t get a refund — yes, even if you’re sick. If you try to register for another showing of the test, you’ll have to pay the full registration fee all over again. That’s expensive! You’ll essentially be paying for the exam twice — to take it once. Ideally, you would avoid this situation. But everyone ends up in a situation where they need to do a GRE exam reschedule that they didn’t foresee. So, how do you do this? Technically, by not showing up to the exam, you’re forfeiting your fee. It won’t be refunded. However, if you truly were sick, you can call ETS and see what they say. Some reports suggest that ETS would be willing to give you a voucher to retake your exam later. But they are only willing to offer this to students who send in a letter from a doctor certifying that they were indeed sick. In addition, ETS may take some time to investigate the matter. In short, it won’t be easy! If you just have the sniffles, it probably makes sense to go to your exam anyway. The process of getting a voucher is too arduous to justify staying home with a box of tissues. But if your illness is more severe, it’s probably worthwhile to stay at home. If you work or are in school, you probably have some sort of weekly routine, where certain days of the week or month are busier than others. Be sure to avoid those days. Think about the kind of things that regularly “pop up” in your life. Are there days where you have to stay late at work unexpectedly, or some kind of chore at home keeps you occupied? Try to expect the unexpected — as best you can — when choosing a new date. Do some weather forecasting. Weather can make travel hard, and that’s especially true if you need to travel a long distance to your test center. You probably don’t want to schedule during a time of year when blizzards or flooding are likely. Remember that rescheduling means more studying. If you reschedule the exam really far from your original date, you’re going to want to continue studying during that time. Don’t just stop studying — you’ll forget the material you learned! Make sure you consider how much you need to study, and how convenient studying will be to you, before rescheduling. 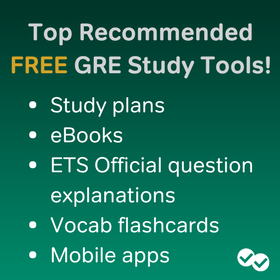 Always keep the usual GRE scheduling topics in mind — due dates, the need for a retake, etc. Rescheduling isn’t a big deal. Sure, it will cost you a $50 fee. But think about that fee in the grander scheme of your graduate school education. Ultimately, graduate school is going to cost you many thousands of dollars. An extra $50 for a reschedule is probably worth it if it means you’ll score better, and have a better chance of getting admitted to the program of your choosing. 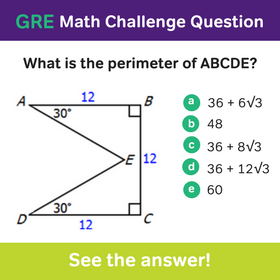 FAQ — Does the New GRE Allow You To Return To a Question You’ve Already Seen? Hi , I want to know if I planned to give GRE exam in October 2018 and want to postpone to March 2019 is it possible? Unfortunately I mistake the four days reschedule process.I had a strong tendency to reschedule the test date of Thursday exam.But the day is Monday at now.In this circumstances, how can I reschedule process?any humble request by ETS. Sorry for the late reply here; it looks like today is your test day! Unfortunately, we are not ETS and cannot help with rescheduling your test. I hpoe that you were able to reach out to them! If I plan to give the GRE in March and book the date, but somehow I feel I am not adequately prepared for the test and want to reschedule it to say July/August(due to semester end exams in the month of May), will it be possible to do so? How far can the date of rescheduling be from the original date? Rescheduling for July or August should be very possible. 🙂 Actually you can– in theory– reschedule your exam for up to a year or maybe even longer after the original date. In reality, however, some individual test centers simply don’t post availability at 6+ months from the present. Just 4 or 5 months out from your original date should be OK at any test center, though.